Although several bills have been introduced in recent months to reform various aspects of the immigration system, Congress has yet to pass any of the bills. Nevertheless, there have been a plethora of changes since the new administration took office this year. Recent noteworthy changes affecting employers are enumerated below. For a discussion of other changes, please visit Koley Jessen’s Immigration Services webpage here. Interviews for Adjustment-of-Status Applications based on Employment. Effective October 1, 2017, the U.S. Citizenship and Immigration Services (“USCIS”) will begin to phase-in interviews for Form I-485 adjustment-of-status applications based on employment. These interviews will be conducted by a local USCIS field officer and will be designed to confirm each applicant’s ongoing qualification for employment-based lawful permanent residency. Although USCIS always has had the discretion to interview any applicant for adjustment of status, previously, interviews were commonplace only where the Form I-485 adjustment-of-status application was based on a family relationship. As such, employers should be prepared for potential delays as this interview process is implemented. H-1B Visa Program. As many H-1B petitioners have already experienced, the USCIS has begun challenging whether an offered position is H-1B caliber where the requirements of the offered position dictate a “Level 1” wage under the prevailing wage guidelines of the U.S. Department of Labor. This new trend may be the result of the President’s Buy American and Hire American policy initiative, which directs the Attorney General and Secretaries of State, Labor, and Homeland Security to, “as soon as practicable, suggest reforms to help ensure that H–1B visas are awarded to the most-skilled or highest-paid petition beneficiaries.” To avoid being challenged on this ground, employers may wish to consider using an alternative wage survey or including third party evidence from the industry or other employers confirming that the degree requirement for the offered position is common in parallel positions among similar organizations. DACA Rescission. The U.S. Departments of Justice and Homeland Security have initiated the wind down of the program known as Deferred Action for Childhood Arrivals (“DACA”). Created in 2012, the DACA program granted deferred action and employment authorization to certain foreign nationals who came to the United States before age 16, were currently in school or had already graduated from high school / received a General Education Development or GED certificate, and had not been convicted of a felony or certain misdemeanors. As part of the wind down, DACA recipients are authorized to continue working until their employment authorization documents expire, unless terminated or revoked sooner. As with any employees who are authorized to work for temporary periods of time, employers must complete Form I-9 reverification by the expiration date of the employment authorization. Employees who are unable to produce documents evidencing their continued employment authorization at such time should be not be allowed continued employment unless and until appropriate documentation is presented. Depending on individual circumstances, there may be options for employers to sponsor DACA recipients for an employment-based immigration visa. 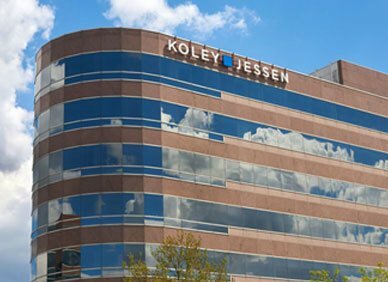 If you have questions about sponsoring foreign national workers, visa program compliance, Form I-9 employment eligibility verification, or other general questions about employment-based immigration, please contact one of the immigration specialists in Koley Jessen’s Employment, Labor and Benefits Practice Group.